COCONINO COUNTY — Are you 55 or better and interested in serving your community? 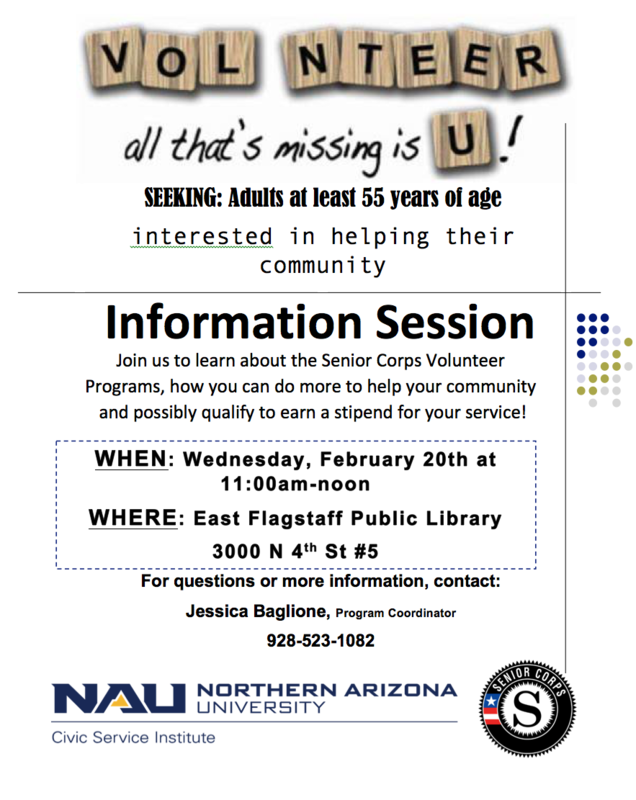 NAU’s Senior Corps program is looking for new volunteers to serve in classrooms or with other older adults who need a little help. Qualified applicants will earn a stipend for their service. An information session will be held from 11 a.m. to noon Wednesday, Feb. 20 at the East Flagstaff Public Library, 3000 N. 4th St., Suite No. 5, Flagstaff.